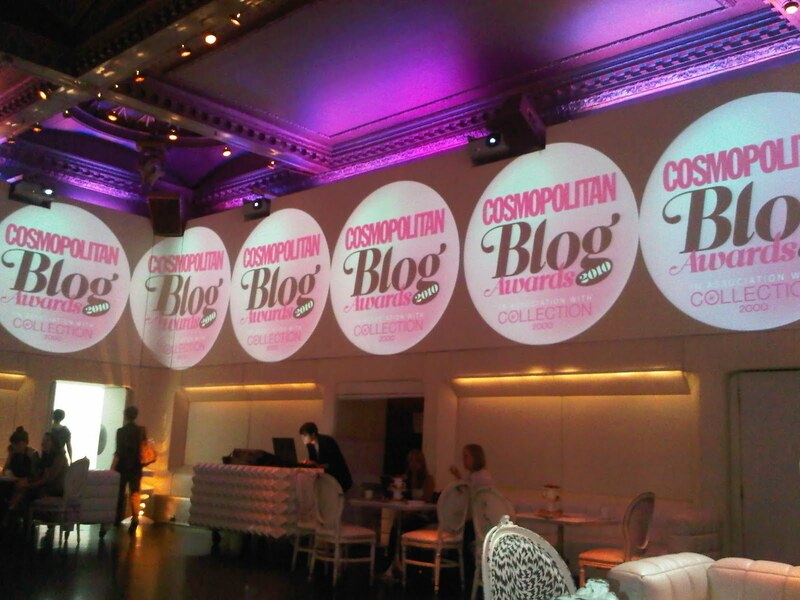 You won’t be surprised to know that I was amazingly shortlisted for a Cosmopolitan Blog Award (I went on about it enough). Over 15,000 different blogs were nominated, so to be part of the select few who were up for the award was absolutely astonishing. I’ve only been blogging since April, it starting as something I did for myself to pass the time and express my love of beauty products. I never thought in a million years that five months later I’d have amazing followers, reviewing top brands and being nominated for awards. I wouldn’t have been able to do this without you. Yes, you. (Points finger and blows kiss.) Your support has been fantastic, your feedback invaluable and your excitement at what I’m rambling on about sensational. I’m not sure if I’d have carried on without knowing people truly wanted to read what I had to say. Blogging isn’t easy. We don’t get paid for it, we don’t get anything back for it, we don’t even get to see faces of people who are reading it. We rely purely on you guys to keep us going. I just want to say a huge, huge thank you because the last few months have made me realise how much I love writing, and how much I love hearing from you. THANK YOU! So now for the exciting bits. I’ve uploaded some photos to my facebook page so make sure you go check them out. If you’re not already a fan make sure you go click that ‘like’ button for extra LBQ bits and bobs, discussions, news, photos, pics and much, much more. I’m also on twitter and ramble on about anything and everything. Finally, there’s a little ‘follow’ button over there —> which will enable you to get all my latest posts without you having to worry about it. Thank you so much again, and here’s to another few months of blogging fun.